macOS Sierra Troubles with Lr 5? 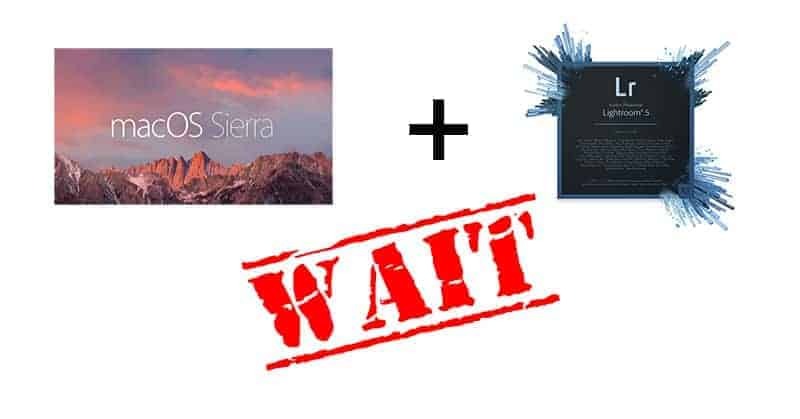 The newest version of Apple's macOS, called Sierra, is being released on 9/20/2016 and if you run an older version of Lightroom you may want to hold off on applying the update. Beta testers have seen issues running Lightroom 5 on the new OS in the late stages. Update: Our friend the Lightroom Queen (Victoria Bampton) has published an article that walks through the specifics and that they are not limited to Lightroom 5. If you are going to upgrade to macOS Sierra make sure you update Lightroom first! As with all upgrades, we recommend letting us take a look at the release before applying it yourself if you can't afford any hiccups as you run your business. Stay tuned, because we will let you know what it is all clear.